The 40% EDGE is another superb flying machine! The precision laser cut parts and computer generated plans assure performance right from the start. Fiberglass Cowl and Wheel Pants included! 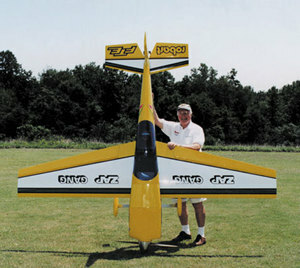 Overall Fuselage Length: 110 "
Wing Area: 2,456 sq. in. Flying Weight: 34 - 40lbs.